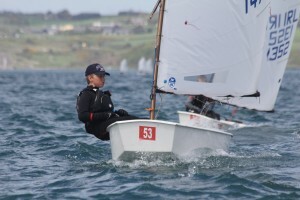 The first Regional event of the year – the Munster Championships were hosted by Kinsale Yacht Club this past weekend. 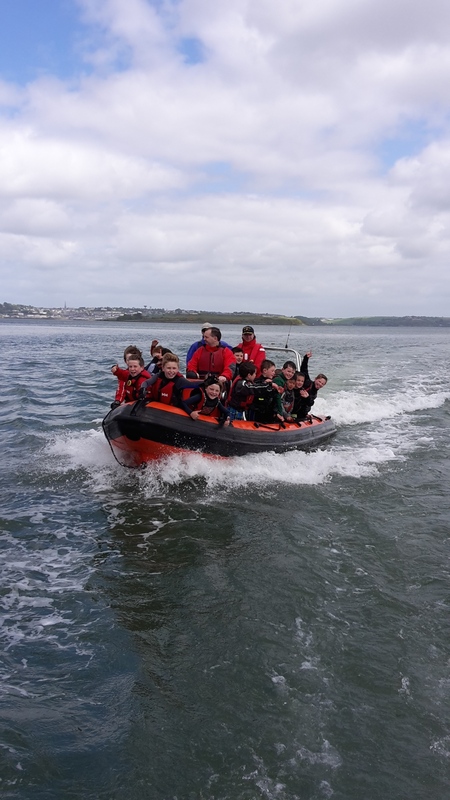 139 sailors took to the water with 29 Royal Cork sailors competing spread across the fleets. 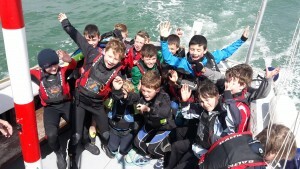 Well done to all our sailors. Jennifer O’Shaughnessy winner of Senior Silver taking a break between races during the Munsters 2015. 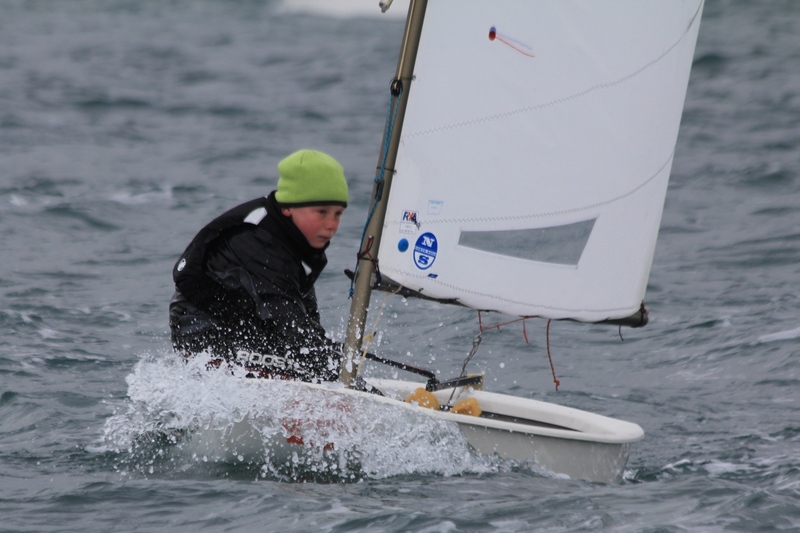 Conditions proved challenging with variable wind and sea conditions testing all the sailors. The main fleet raced outside the harbour under Race Officer Neil Prendeville and his team. He ran a series of six races over Saturday and Sunday. 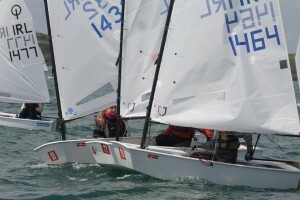 We had four sailors race in the Senior Fleet of 41 sailors. 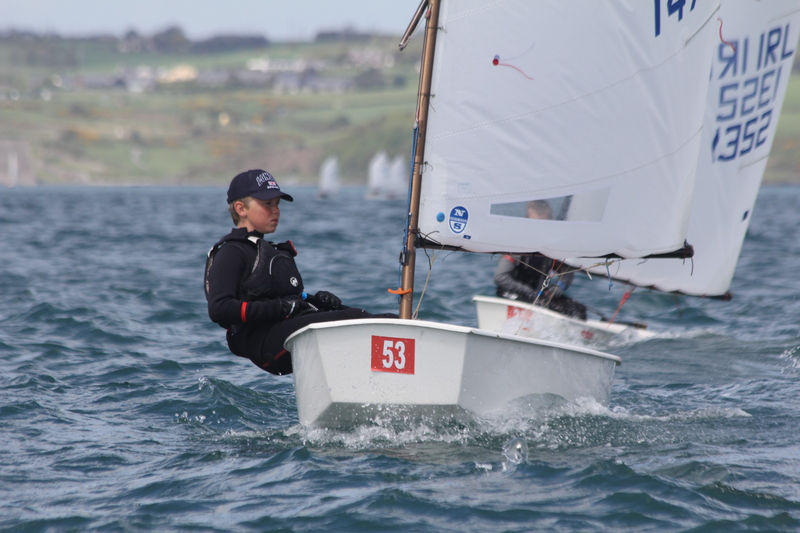 Local KYC sailor Micheal O’Suilleabhain won the Senior Fleet – our sailors were led by Cathal O’Regan in 11th (who scored a bullet in race one) followed by Emily Whitaker, Kate D’Arcy and Jennifer O’Shaughnessy. Congratulations to Jennifer on winning Senior Silver. 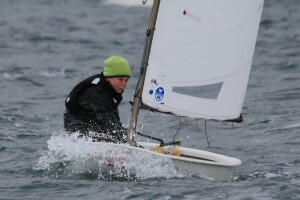 In Juniors we had 20 sailors in the fleet of 62 – they achieved one bullet (James Hassett) and 31 top tens between them. The winner of the Junior Fleet was our own Robert Keal who was very consistent and never outside the top ten over the two days of racing. Rob was followed by Harry Twomey 2nd, Killian O’Regan 5th, Aoife Byrne 7th, James Hassett 8th, Rory O’Sullivan 9th and also winner of the Junior Silver Fleet, Conor Walsh 13th, Jonathan O’Shaughnessy 15th and 5th Junior Silver and Ellie Cunnane, Michael Crosbie, Ben O’Hare, Cillian Foster and Eoin Horgan all in the top 30. Adam Power, Conor Aherne, Justin Lucas, Stephen Cunnane, Patrick Bruen, Oisin MacSweeney and Charlie Neville completed the junior round up. It was a first Main Fleet Event for Michael Crosbie, Stephen Cunnane, Patrick Bruen and Charlie Neville – well done to them all. Five of our sailors competed in the Regatta Fleet made up of 36 sailors. 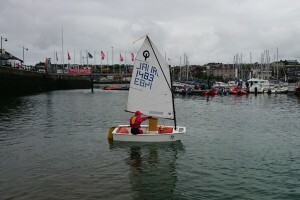 The Regatta Fleet raced six races over the two days under Race Officer Bruce Matthews in the sheltered waters under Charles Fort. 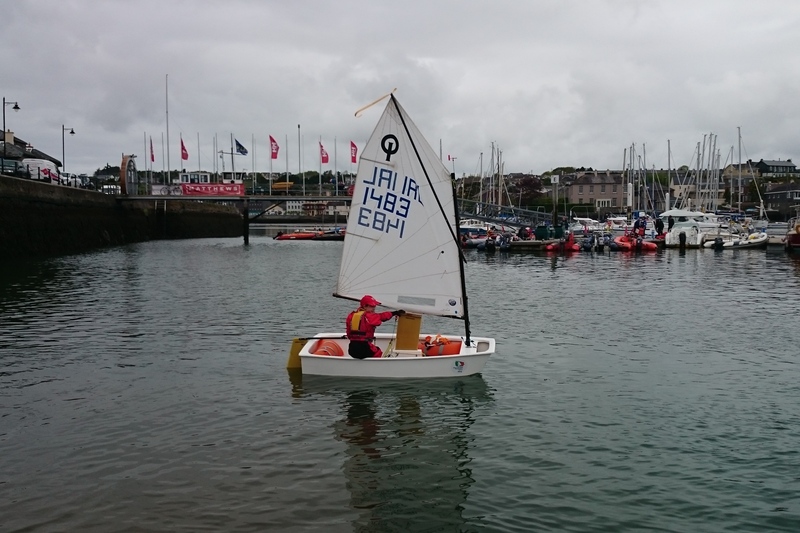 While we only had small numbers competing in this fleet four of our sailors finished in the Top Ten – the fleet was won by Ciara Burns followed by Lucy Bateman 4th, Jamie Venner 6th, Anna Keal 7th and Alana Twomey our youngest sailor competing (aged 9) showing wonderful promise. ENTRY CLOSES NEXT SUNDAY! Regatta Fleet will be capped so please ensure you enter early to avoid disappointment. 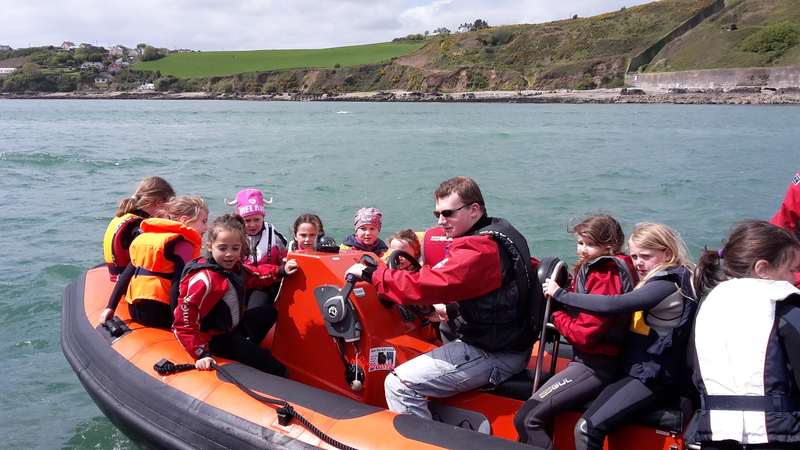 While our sailors were away Darren O’Keeffe and his amazing helpers continued with the Beginner and Improver Sessions on Saturday morning last and had 49 children on the water. 73 children have now taken part in one or more of these sessions. There will be a presentation by Celine McGrath, Rear Admiral Dinghies next Saturday (23rd May) for the parents on the “steps going forward” – Sailing Courses, Flipper Club, Cara Na Mara etc. April/May Club League Racing continues – See you all next Saturday!